A good drawing tablet can transform the digital drawing experience for digital designers and artists. Whether you are an aspiring artist, beginner or professional, the right drawing tablet can significantly change how easy it is for you to draw digitally. Drawing tablets can get quite expensive, which can be an issue for many artists. Here are five of the best drawing tablets that you can purchase if you are on a budget. An entry-level tablet, the Watcom Intuos Tablet is the most popular brand of drawing tablets on the market today. Artists love this tablet because it is not only reliable, but they can purchase it for less than $200. The tablet’s multi-touch surface allows users to use different gestures to scroll, rotate, flip, and zoom through documents and photos. According to the company’s website, there are four different versions that you can purchase to match you and your creative work precisely. The Ugee drawing tablet is an excellent value at less than $55. It is extremely easy to install and use on both Macs and PCs. The large ten by six active drawing area is excellent for doing artwork and editing photos. Its natural feel of pen-on-paper provides artists with efficient performance, according to the company. The drawing pad is also extremely sensitive to pressure, providing the user with the precision they need. If you’re searching for the best cheap drawing tablet, look no further than the Huion H610. 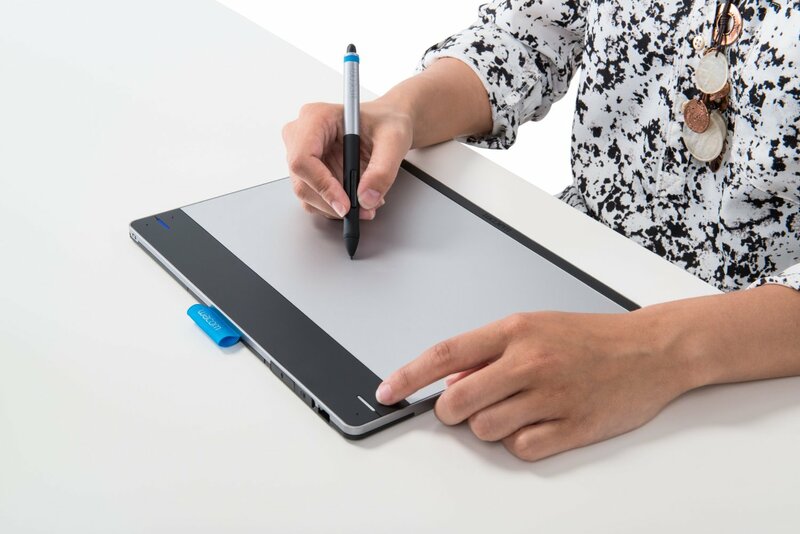 The drawing surface of this tablet is slightly smaller than the Watcom Intuos tablet, but it is more sensitive, which leads to better precision when drawing. The Huion also has eight customization buttons on the side of the tablet and sixteen hotkeys along the top. Unlike some other tablets, the pen is rechargeable and has two programmable buttons on the side, and at just under $77, this tablet is a steal. If you’re an artist that likes having a lot of function keys, the Huion USB Interactive Graphic Tablet is for you. It boasts an active area that measures eight by six and has a total of twenty-six function keys. The pen comes with four extra tips and requires a triple-A battery to work. The resolution for this drawing tablet is 4000, LPI or lines per inch. The Genius EasyPen M610XA tablet has a large working area that measures six by ten. It has the same LPI as the Huion USB Interactive tablet and a pressure level of 1024. The tablet also comes with Adobe Photoshop Elements 9 and Corel Painter Essentials 4, making the $100 price tag worth it if you are interested in the software. For both professional or aspiring artist, having a reliable drawing tablet is a must. There are many great drawing tablets for under $100, that will provide you with enough surface area to comfortably draw on, the responsive feedback you need, and some excellent extras that will enhance your drawing experience.